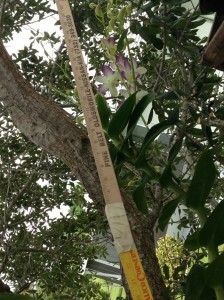 How Tall Will My Outside Orchid Grow? 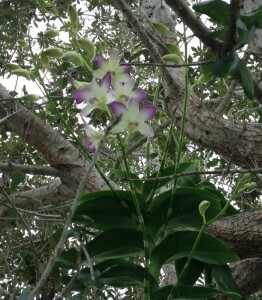 “All the orchids in my tree are doing great! 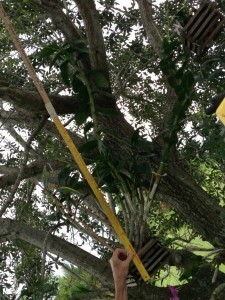 I do have a Cattleya orchid that is 5 1/2 ft. + tall. It’s just gorgeous. The blooms are massive! I just couldn’t get it out of my shade tree. (It’s that tall). I was afraid if I tried to move it I would ruin the blooms/buds. I tried to capture the length/buds/and blooms with a yard stick. I might try again, but it’s so beautiful I would hate to disturb it. Sorry the pictures weren’t better. My question is: how tall do they grow?  How can you tell that the orchid is a Dendrobium rather than a Cattleya?